The Seti khola start from the snow fields and glaciers around the twin peaks of Nampa in the south facing slopes of the main himal . 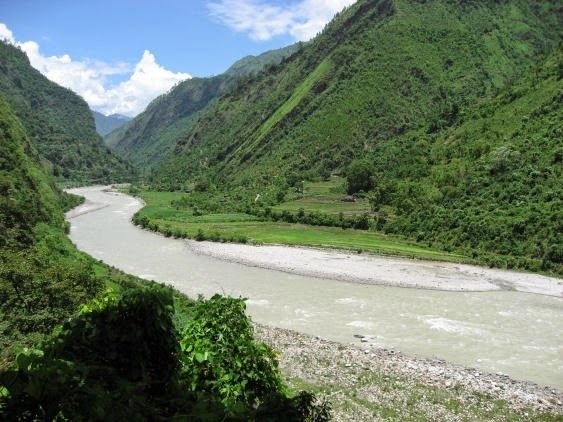 The river is mainly located in the border of Nepal, India and China.The river first flows in a south-easterly direction, then turns and flows in a south-westerly and finally south-easterly again before joining the Karnali River. It has cut a spectular gorge across the Mahabharat range and be like a cave and tunnel for the short distance.The river is the best place for the trip where beautiful jungle, plenty of easy rapids and fantastic Himalayan scenery can be watch by the traveler. It mainly starts at Damauli about 6 hours drive from Kathmandu or 1.5 hours drive from Pokhara. Many people choose for rafting either in seti river or in trishuli river. It will be best location for white water rafting. Nepal One Tours & Travels Pvt. Ltd.
www.nepalonetours.com. Simple theme. Powered by Blogger.